The Oxton Projection House had two reasons to celebrate after the September film night. Firstly, we were formally presented with our brand new projector (which can even show films in 3D), the purchase of which has been funded by surpluses from previous film nights and with the help of generous grants from Oxton Parish Council and Councillor Andy Stewart of Notts CC. Councillor Andy Stewart presents the new projector to The Projection House. Pictured are PC Chairman Jill Jones, Sheila Ashmore, Councillor Andy Stewart, Ian Buchan, Jonathan Mackie, Adrian Todd and Roy Walker. Other group members, Ethel Cottee, David Bond, David Greenwood and Simon Ashmore, were not able to attend the presentation. The second reason is that we had our second sell-out film night, not bad going after only seven events! 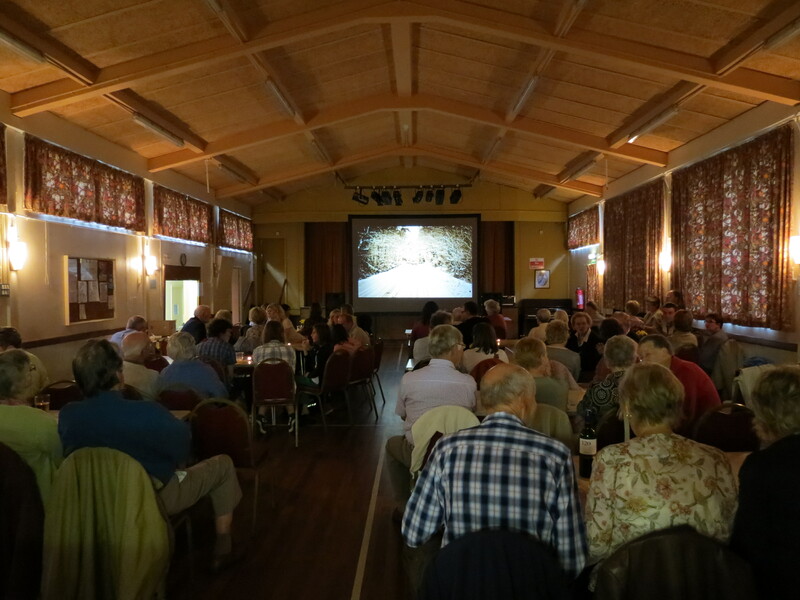 This time it was the showing of The Best Exotic Marigold Hotel, accompanied by curry and Indian beers, that drew a sell-out crowd of 80. The message in future is buy your tickets early to avoid disappointment. As an experiment we also showed the film with subtitles, to help those with impaired hearing enjoy the film. We intend, in future, to repeat this when the need arises. We are now in the fortunate position of owning all our own equipment. That makes it easier and cheaper for us to put on showings. Having said that we still face fixed costs of at least £150 per film shown. These costs comprise £100 for the licence to the film owner to show the film, £40 to hire the village hall and £21 to Newark and Sherwood District Council to allow us to show films and sell food and drink. As ever thanks go to the very hard working and dedicated crew comprising the film group and also to you, the community, for supporting all that we do. Thanks to the film crew for providing such great fun and affordable evenings right here on our doorstep. « New permissive footpath goes live!